I read a column on the Star about urging we Filipinos to understand our culture and make use of anything good from it for national development. The point was actually simple: learn where your stance, look at the rest of the world and move out to prove your worth. This has triggered me to post what I had written before in UP. Though this is just an excerpt of the whole article , it nevertheless bears the core content of my idea. The Filipinos have become a legend the world over. So they say. They are known to be the happiest people in the world; the primary factor being their knack of finding something to be cheerful about in the midst of adversity, crisis, even in suffering. Pop psychology, culled from the various religious schemes from cultures around the world, have often pointed out that happiness is either: an acceptance of one’s present lot, shared in comity with the rest of human kind or the Aristotlean notion of happiness being the perfection of one’s capabilities by its practice and fulfillment. Which of these is the Filipino’s? Analyzing recent pop icons of Filipino ascent [Manny Pacquiao, Filipino OFW’s, Pinay internet hetairas], it is clear that the cheerfulness that Filipinos have been famous for is intricately connected with roots of extreme poverty. Destitution is the motivation; the dream: a better life somewhere. There are necessary elements for a typical Filipino success story: A penniless childhood, devoted but poor parents working to make ends meet, a once-in-a-lifetime opportunity propelled by heroic self sacrifice and fervent prayers to the Divine, leading to sweet happy endings of riches and infamy and becoming a household name that in turn will inspire thousands to reach for the stars. Filipinos have to work harder, one lifetime at a time, to achieve a state of existence that people at the other end of the world have only to work for in two hours stops, only to waste it away on boredom and marital, middle-life crises. But then, the same is true with every third world country. That Filipinos seem to have a good time through is beyond logic. That Filipinos could make jokes as they row through seven-feet high monsoon floods or still be the texting capital of the world despite an oceans-wide gap between the rich and the poor baffle, amaze and annoy most foreigners. What is their secret? they ask. How do Filipinos do it? When other countries have become so well off that even Chinese toddlers already have laptops and a teenager from Notting Hill, London can buy a cappuccino that costs as much as two days’ wages for an average Filipino worker, why is it that Filipinos can still laugh so heartily as they lose their homes to monsoon floods or even make jokes about their own situations or feel almost nothing at the way their politicians have, time and time again, not only worsened the economic situation of the Philippines but have almost criminally debunked the hopes and dreams of those who have voted them because they precisely promised the opposite, even invoking the power of the Divine? It could not be that Filipinos are stupid: the country has had its fair share of intellectuals and history glitters with the achievements of these admirable men and women who have brought enlightenment and progress to the country. A very priceless commodity in the Philippine market today is manpower: individuals who have been schooled into skills and knowledge necessary to keep the cogs of the national economy from breaking down. It could also not be a political immaturity, for there was a time when the Filipinos, in one glorious exhibition of bravery and unity, brought down a dictator and ushered in a future pregnant with possibilities for a better society. The problem was, and it exists to this very day, nobody ever knew how to make those dreams of prosperity a reality. The country had to open its doors to the outside world and seek its answers there. With the tsunami of foreign capitalism and its inevitable cultural ramifications, the Filipino barely had a chance to recover its breath, look around, analyze what has just happened, formulate answers derived from his own experiences of what had gone wrong with the system in which he was placed. Nay, the world was simply too fast for him. It could be that the cultural enslavement that has crippled the Filipino from the earliest stages of colonial rule up to now, more than a hundred years after its end, has not yet been overcome. We are enslaved by a poverty of identity. It is a hard reality that many Filipinos have less in life and suffer for it: no amount of policy or law can ever conceal that. It is also true that this has been the situation for hundreds of years, and many more. It is time to break from the prototype of how a Filipino is perceived by the international community. Yes, they are happy, but it shouldn’t be because they accept their lot on life and suffer cheerfully. It shouldn’t be that the happiness Filipinos are known for should come from the fulfillment they feel from having sacrificed so much working abroad and in God-knows-where-else just to provide a better life for their loved ones. This is not how a Filipino should end up. Precisely, this cultural mechanism is being used to educate future generations of what progress should be, when what they need is a Cultural renaissance where the worth of the Filipino is not in how much he is willing to sacrifice in a foreign shore, but in how he can give so much of himself in his own land, for his own country, within the reach of his loved ones, and within the bosom of his own native home. The State should provide more opportunities for progress by utilizing its own resources, by feeding its own people, by fostering its own opportunities for growth not from foreign gold, but from what the people themselves can give: through a decreased export of manpower, through a better system of managing local assets and turning them into capital for the profit of its own native users. These, in the long run, lay the foundations of basic material stability and constant economic growth needed for a cultural system closer to the experiences and values of Filipino life. These are necessary for the establishment of a Filipino’s sense of being. These are the foundations of a true Filipino identity. By localizing Filipino pride with opportunities for economic prosperity closer to home and more grounded on native comity, the State will pave a way for a stronger, happier nation. I have never been more apprehensive about anything in my life than finding courage to write something for blogs. I already have a lot of compositions but I guess that would seem mediocre compared to the rest who write with fashion and unique artistry that either influences or becomes the germ for change. There is what you call a strict line between sacred and profane, or a master and a neophyte – and I believe I belong to the latter. The obvious difference of an amateur and the prolific is the mastery of language (english) and maneuvering it to portray out their minds. However, the sole consolation I get through writing is the fact that I would be sharing my mind no matter how profane or how shallow my ideas are (hell with the skeptics, we all have to have a share of them anyway) and regardless of this, each has each own role to fill up, because even the mundane has something to say about the world. Last night, I was reading an essay on Fiction and National Identity by Francisco Sionil Jose-the Filipino bid for Nobel Prize laureate – and it prides me to know someone who can write prolifically about the culture of the Filipino from the ground up rather than being engrossed with politics and the popular trends within the confine of self vanity. Reading his works, gives me sense of obligation that each has a role to write – not of the distant land but the very basic which constitutes our own being. Although we have been alienated by the growing culture of west, and that we use their language (English in particular), we can never exempt ourselves from the ground that nursed us till we get conscious of the complexities of life. A proper account of our lives must be etched for perpetuity of our Filipino ways since there is a shift of literary scheme from oral to visual as Nick Joaquin put it. Yet, some among us despised our land, our own color, even our own race, to arrogantly believe that there is something far better in other grounds . and we started to write about Tolkien or Rowling rather than about Deriada, Arguilla, Javellana and even to the point of forgetting Rizal; that is because we always see west as a fairyland and fantasize more about it. We think that economic security abroad means good culture because it promises us grands that we could send back home. This is an ominous misconception; this is what we call dreaming the mundane because if one may contemplate on the exact end of man, one may conceive that men may act differently in various shades of skin, but we have the same color of blood and we all think alike; we are all human beings. The only sheer difference that divides us are the boundaries within the multi-colored world we live in. We in the east have a bizarre culture where there is harmony between spirit and flesh as opposed to the western speculation that reason dominates the physical; we can never evade this culture. Since the growing impact of the western trend is obviously undeniable, hence must be understood in proper illumination . When I was in college, a professor of mine told us that the dominant culture is dubious enough to seep into the human psyche and lure people into uniformity. If we try to break down the word, we will have two root words – uni and form. Uni always mean one while form means idea or perception. In coining the word, we buy the notion of “one idea” or simply to become one in style-and this is what this system is doing right now particularly the idea of globalization and, speculatively, the subtle influence of the English language. Actually, there is nothing wrong neither with globalization nor the use of the English language as long as we know where to draw the line, and audaciously stand on our culture. But if we succumbed to the ideologues that work behind it, to the point of being homogeneous with them, the future of preserving our own will be reduced to mere oblivion. If this happens, whose gain will it be? We are created uniquely, with culture and ways of our own, and this is the only distinctive subject that divides us. If we lose it, where do you think the Filipino would credibly stand for? The universality of man is not meant to divide but to unite, but sad to say that individualistic philosophy of western paradigm has created a trend that entices (inventing a need) the taste of our generation-the Generation-X that puts up feud rather than unity and respect fro diversity. Because of this influence, we forget where we are and what we are because of this influence. We may be good in English, but we can never be American or British. That is the fact. However, being good in English doesn’t mean we are no longer Filipinos. English language has become an integral part of our culture to the brink of owning it as our third language. Admit it to say, from the moment we began to develop an acoustic ability in our early days, English language was already there walking along until we took the first step in our classrooms; it has become the main medium of instruction in all levels. So who said that English is not our own? It is ours; we have come to embrace it. Thus, there is nothing wrong to put the context of the English language and use it to make our own culture understood better. Nobody after all owns the English language in Asia better than the Filipinos and I stand to that claim. Some said that the proper way to explain Filipino is to use Filipino. What is wrong in using English anyway? Why not? As long as we stand to be Filipino, using English is absolutely fine. Our tongue may take different forms in the changes of time and the drive to assert the place of our race in the globe, but we can never lift our feet from the ground where we have bloomed; just change your tongue but keep your feet still. There are various spectacles on how to address the multitude of language as propaganda or the herald of cultural influence, but I will not dwell with this further more because I am just highlighting the core of being what and being where- the being and theplace to be of Filipinos. And with regards to lEnglish anguage, what is important is that we gear it to discover our very selves and the place that nurtured us. As what Gandhi said , he would welcome the four winds of the earth in his house but that he would see to it that his house is not blown down by any of them. Even Rizal understood this, and by far history , has used Spanish to portray the lives of the Filipinos- a species existing in the orient world that the western world and even America has been once nescient of. Summing up all accounts, I commend that F. Sionil Jose deserves to be read by every Filipino for he has shown better the use of language either in English or not; and he firmly stands on his culture and on being a Filipino, despite being a polyglot by nature. P.S. 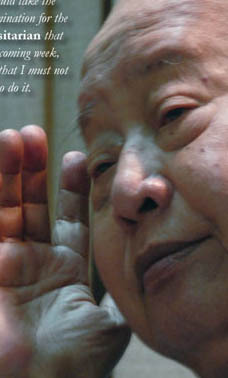 For thorough details read F. Sionil Jose, In Search of the Word: Selected Essays, De La Salle University Press, 1998.